The Abu Dhabi Grand Prix on Yas Island has earned the unique title of being the only true day into night race on the F1 calendar. 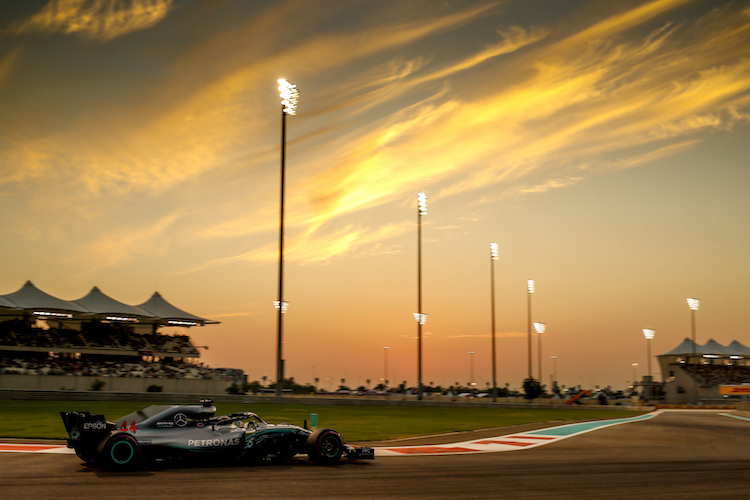 Unlike the Singapore GP which takes place completely under floodlights, the Abu Dhabi GP starts in pure daylight, which slowly but surely transforms into spectacle under intense artificial lighting. Yas Island also has the great benefit of having Ferrari World next door for thrill seekers to enjoy. Abu Dhabi is the capital of the United Arab Emirates and is the world’s richest city. Its permanent citizens have an average wealth of 17 million dollars which is incredible by anyone’s standards, especially when you consider the city didn’t have a single paved road until 1961. The United Kingdom protected Arab states in the Persian Gulf for most of the 20th century as part of a deal to defend British trade from piracy. Around the same time that oil was discovered in the sixties, the UK’s influence grew less, and the United Arab Emirates was formed from the local sheikdoms. The UAE had originally intended to include Bahrain and Qatar but those territories sought full independence instead. In a deal similar with others in the Middle East, the border between Saudi Arabia and the UAE is technically undefined. There have been disputes over the land for many years so both countries have declared there is no firm border to prevent fighting over the territory. However, the value of nearby oilfields may challenge that arrangement in the future. The Formula One circuit is located on Yas Island, a new part of town that is being developed at a cost of 36 billion dollars. Along with the racetrack, the island is home to Ferrari World which will be the largest indoor theme park in the world when it opens this year. The island will also feature Warner Bros Movie World, a water park, along with various resorts, shopping malls and the exclusive Yas Yacht Club. 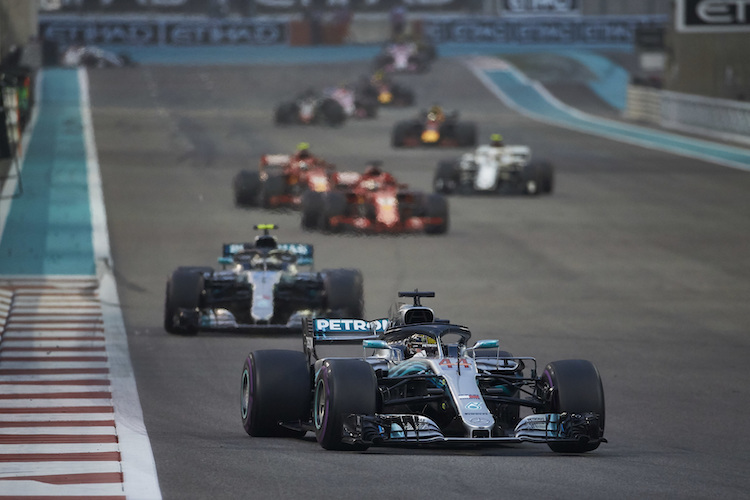 Interestingly, the race is titled the Abu Dhabi Grand Prix as opposed to the United Arab Emirates Grand Prix, making it the only F1 event to be named after its host city and not the country. Like other governments in the Middle East, the UAE’s rulers are aware that oil money is not going to sustain their economy forever and are looking for other sources of income. Abu Dhabi’s biggest focus for investment into the future is tourism and the city is currently spending billions on infrastructure that will attract visitors to the city. Part of the plan to boost tourism included the formation of Etihad Airlines and an upgrade to the local airport, which has turned Abu Dhabi into a transport hub for international travellers. Yas Island is one of the high profile tourist developments in the area, and although it is currently best known for the F1 circuit, there are plenty of other attractions under construction that will encourage overseas visitors. The Grand Prix will be used as a tool to promote the nearby sights and events to a global audience. The racetrack was originally designed to be part permanent and part street circuit, and was scheduled to open the 2009 season. However, at the start of 2008 it became evident this would not be possible and the race organisers hired a new management team to bring their F1 project back into line. The circuit was changed into a fully permanent one, the spectator capacity was reduced, and the race date was pushed back from February to November. The circuit configuration is rather special and is one of Herman Tilke’s better designs. The opening sector of the lap is brilliant and the cars look fantastic through the quick sweepers after the first corner. The track then makes its way back towards the water along two fast straights (one of which is the longest in F1) and then winds its way under a hotel and past the marina. The straights and tight braking zones make overtaking a genuine possibility and they give the cars ample chance to reach top speed. Some of the slower turns are also well designed. The three right hand bends immediately before the hotel are rather challenging, as are the off camber corners that follow the turn 12 chicane. The circuit would have been exciting without the slow sections of track but the tighter parts don’t totally ruin the lap, even though they do cause the field to spread out a bit during the race. Whilst the circuit allows for close racing and keeps the drivers occupied, the track is most impressive due to its surrounding facilities. The work that has been put into the construction of Yas Marina is nothing short of amazing. A five star hotel straddles the track and another six have been built nearby. The circuit boasts 70 pit garages and a separate pitlane for the support categories. Every grandstand seat is covered and the fans are close to the action thanks to the widespread use of Tecpro barriers. Even the track surface is special since the material had to be shipped to Abu Dhabi all the way from England. The Yas Marina circuit also includes a number of novelties and special features that add flavour to the Grand Prix. The regular advertising banners that you would see across most tracks have been replaced with LCD screens. The pitlane exit is a tunnel, there is an escape road under a grandstand, and the layout fully incorporates the Yas Hotel and Yacht Club. At night time it becomes the largest and brightest floodlit sporting event in the world. There has been just one Grand Prix in Abu Dhabi and it was hailed a success by drivers and fans alike. The race was dominated by Red Bull team whose aerodynamically efficient RB5 suited the fast sections of track. Cars fitted with KERS also performed well at the circuit thanks to the long straights, but this will not be evident in 2010 when the system is not used. Sebastian Vettel won the 2009 Grand Prix with ease in a race that featured a number of interesting battles. Jenson Button was overtaken by Kamui Kobayashi in a great manoeuvre that did much to help the young Japanese driver’s reputation. Jenson also raced hard with Mark Webber in the final stages of the race in a thrilling battle that went down to the last few corners. Although the field had spread out significantly during the grand prix there was still some overtaking between cars with different strategies. Perhaps surprisingly, the fuel consumption at Abu Dhabi is not very high and that will help the thirstier cars, such as the Ferrari. The circuit features a number of unusual challenges. One of them is the underground pit exit which comes after the speed limit line. Drivers can blast through the tunnel as fast as they want, and with the barriers close by its only a matter of time before someone bins it. Tyres and brakes proved to be big issues in the 2009 race and hurt a lot of drivers near the end of the Grand Prix. The fast back straight (the longest in F1) ends in a tight corner which makes picking the right braking point extremely difficult as the drivers scrub off 240kph of speed. Why Watch ETIHAD Airways Abu Dhabi Grand Prix? The transition from night to day is one of the most spectacular sights in Formula One and FOM’s cameras do a very good job incorporating that into the race footage. The circuit is ultra modern and features all sorts of gimmicks that can’t be seen elsewhere, but most importantly, overtaking is genuinely possible. The first lap is especially exciting with nothing but straights and tight corners that allow the cars to stay bunched up. I am looking to buy general admission tickets for 2014 Abu Dhabi F1. Do you know how much they are and how I can purchase them. Can I purchase tickets for Sunday only ? You can even buy 3 day tickets for Friday – Sunday or Weekend tickets. Prices for weekend tickets start at £323. Please let us know what you decide on and we’d love to hear from you if you do decide to go! Looking to get some tickets for the Abu Dhab GP in Nov, where is the best place on the circuit to watch? Also looking in to hospitality, Are there any you recommend and finally when are tickets available? 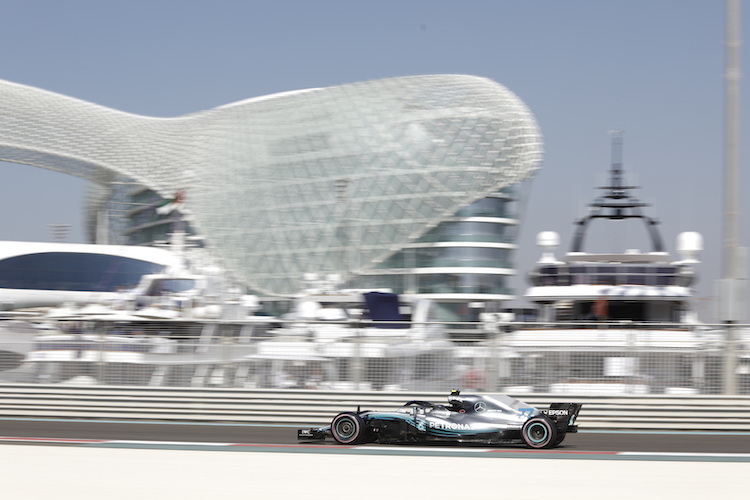 Have you checked out our https://www.enterf1.com/abu-dhabi-grand-prix page? The ticket resellers have some useful links on where to sit and reviews from past customers. Follow the links on the pages to your preferred reseller.